With our extended deadline there is still time to enter our January cybercrop competition. You can find the challenges and all the info you need in our forum. 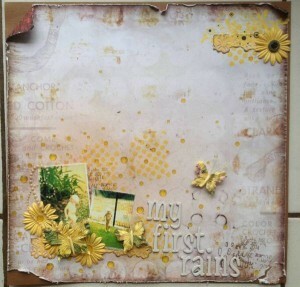 This lovely page is Hilary’s entry for Challenge Two. I love how pretty this page is and what a gorgeous photo. 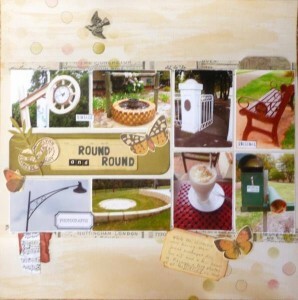 Kathy has made this wonderful page for Challenge Three. Love how she has included so many photos and what a great topic. 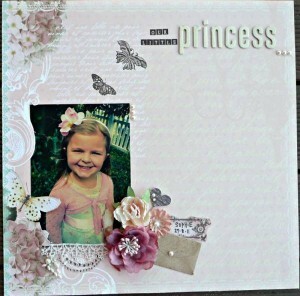 And this is Karen’s entry for Challenge Four – our card challenge. 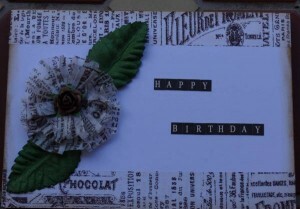 The print paper works beautifully for the flower Karen has made. I hope these entries have inspired you to have a go at one of the challenges. To be in the running for a prize you have until midnight on Monday, 28th January to upload your entries into the gallery. © 2019 Chook Scraps Art and Craft.